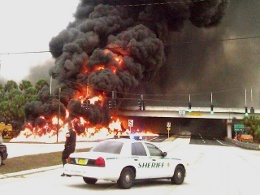 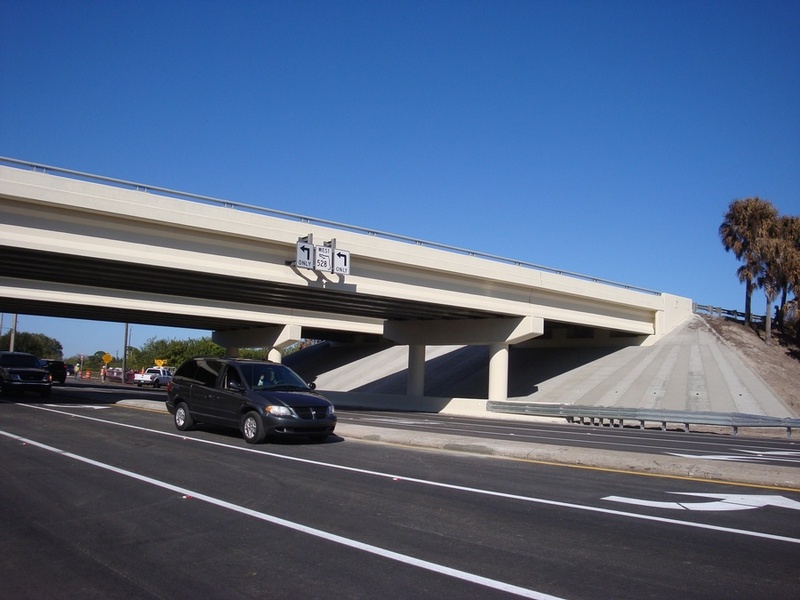 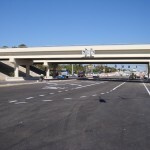 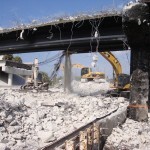 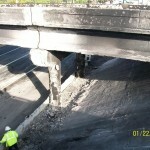 On the afternoon of January 21, 2011 a fatal accident badly damaged the SR 528 overpass. 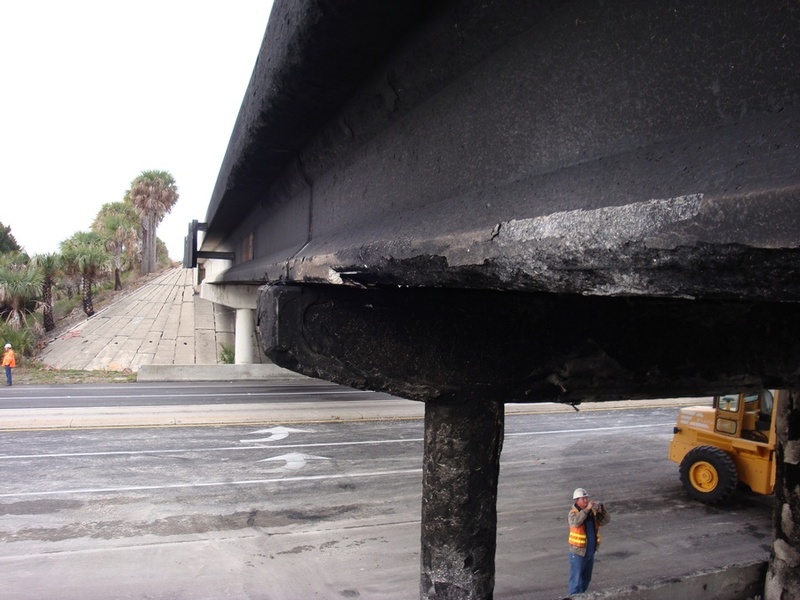 FDOT inspected the damage in order to determine the extent to which the side-by-side bridges’ structural integrity had been compromised when a tanker truck plunged off of SR 528 between the westbound and eastbound bridges to the road below. 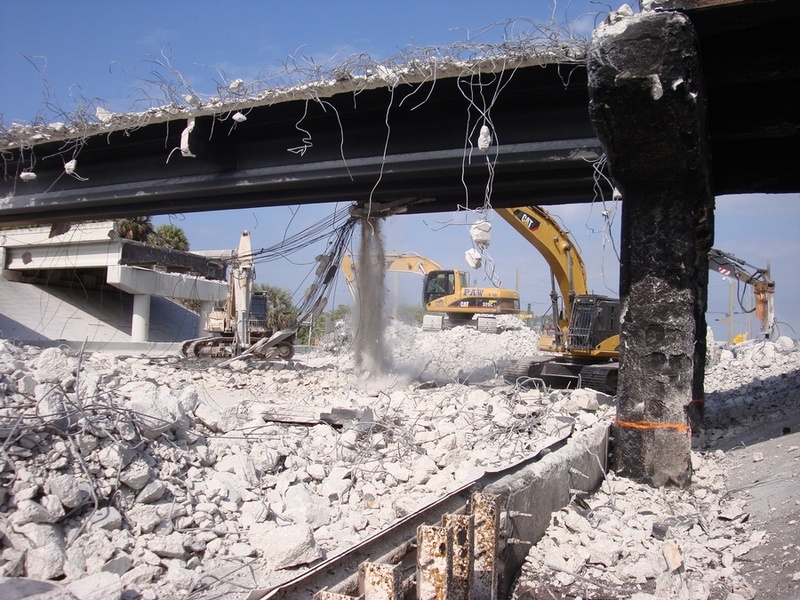 FDOT had concluded that the two easternmost of three spans on each bridge were beyond repair and had to be replaced. 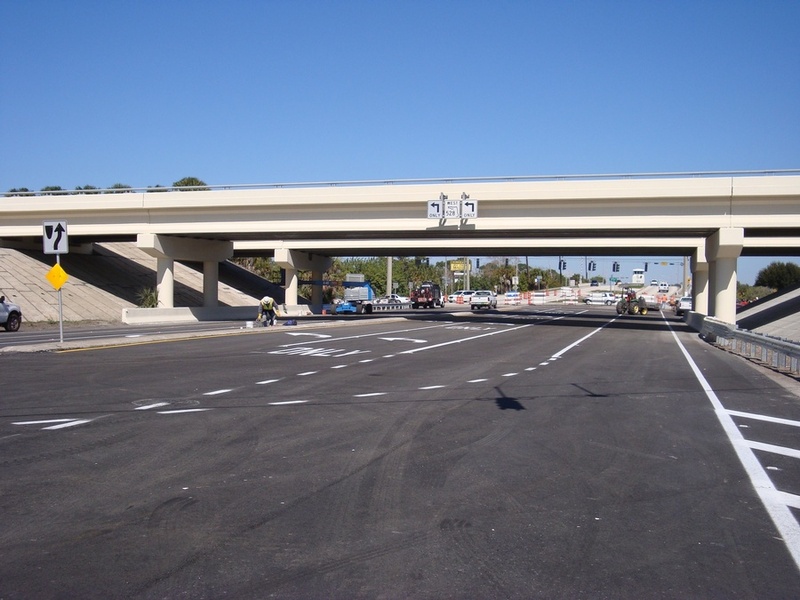 FDOT awarded the job to Lane Construction, based on its bid of $2,191,000 and its schedule of 25 days for project completion. 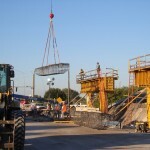 The contract also had a provision that would penalize the contractor $50,000 for each day past the deadline that the bridge was not open. 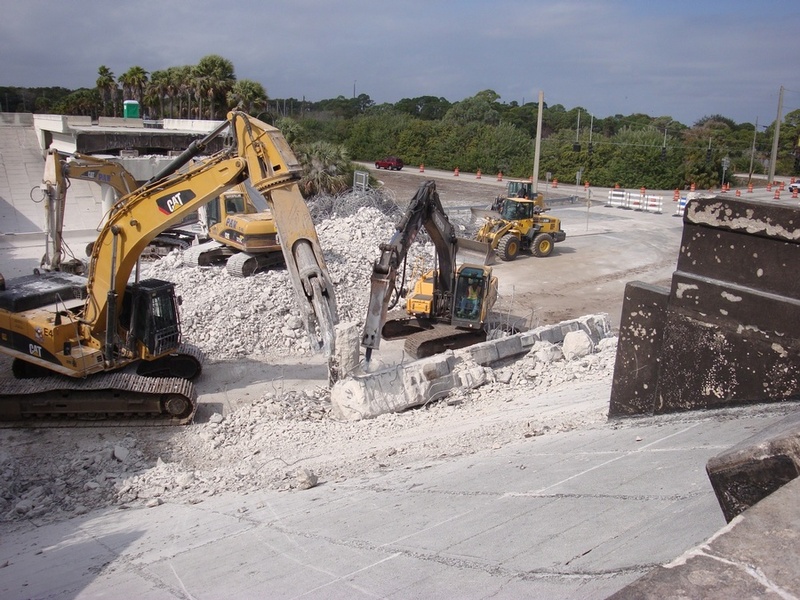 Lane, on behalf of FDOT, selected FINLEY to serve as the specialty engineer to design the repair and reconstruction of the bridge. 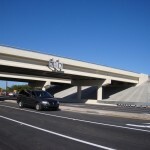 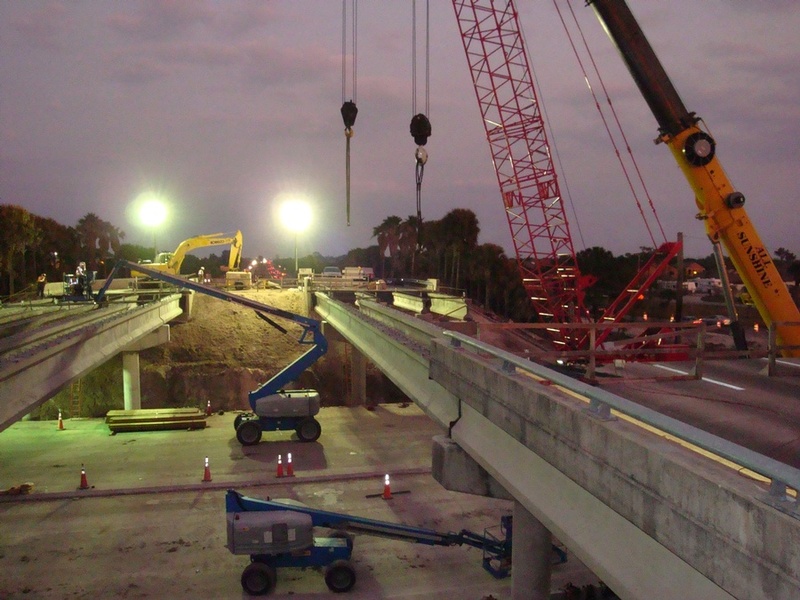 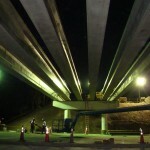 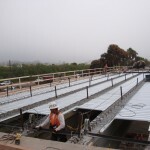 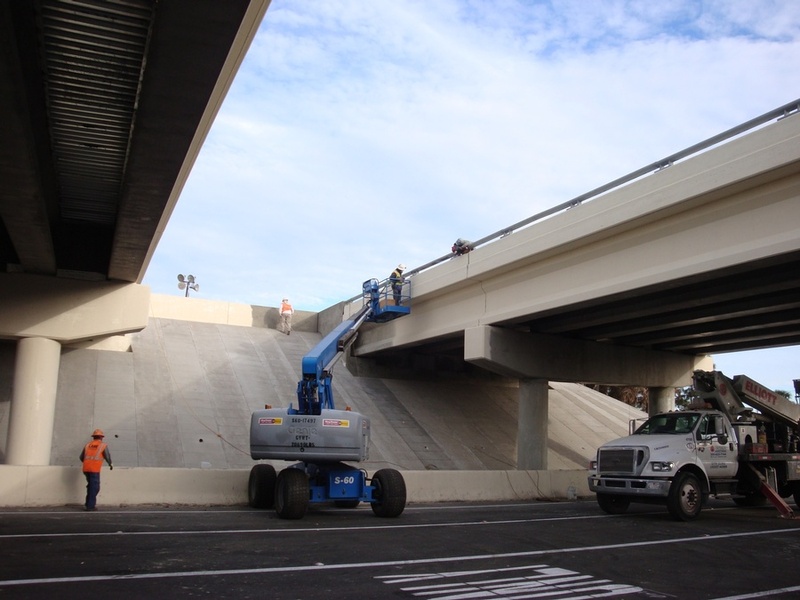 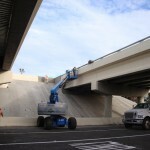 FINLEY submitted the prestressed girder design to Lane on Sunday afternoon, mere hours after FDOT awarded the contract. 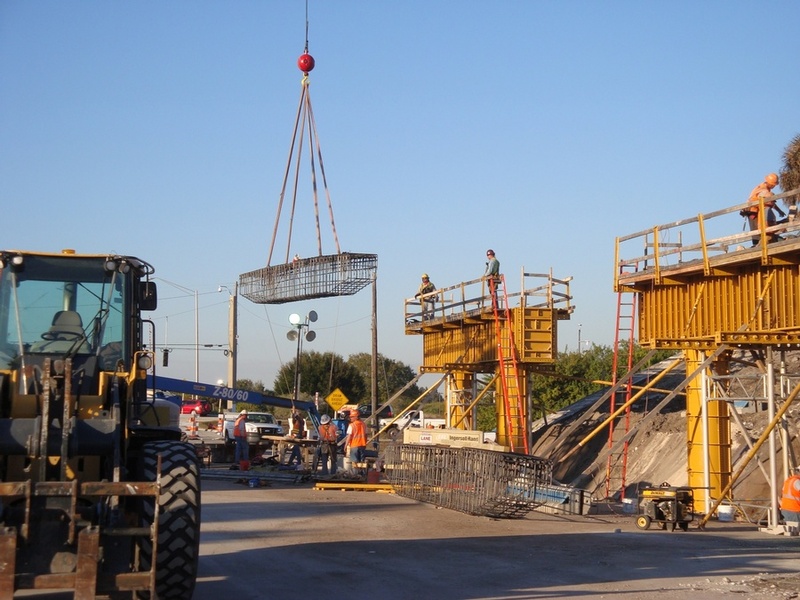 The replacement precast AASHTO beams were designed within 12 hours, and the first replacement beam was cast within 24 hours of the notice to proceed. 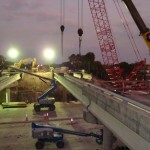 Final beam designs were complete within 36 hours of notice to proceed. 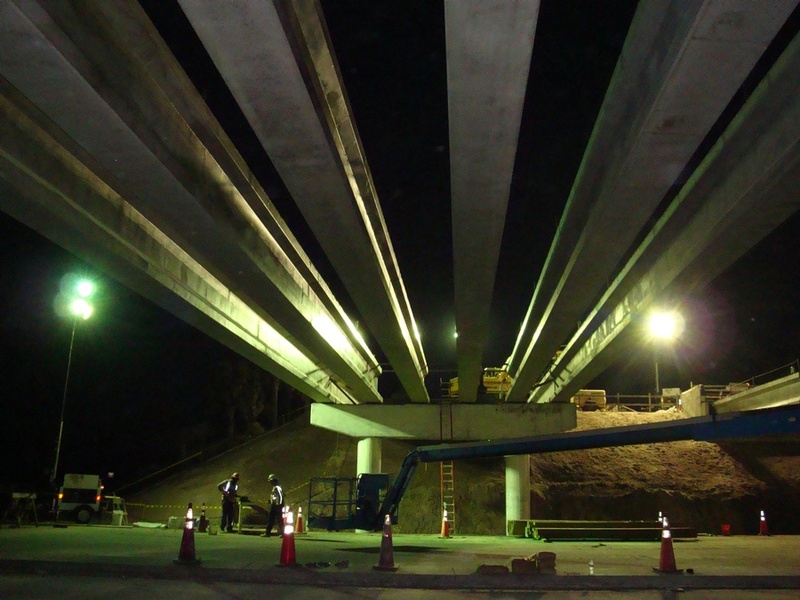 The bridge features two multi-column piers on driven pile foundations – one on each bridge – including column and cap. 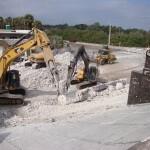 The piers were reconstructed to the top of the footing elevation, but the existing footings and piling were not damaged and were reused. 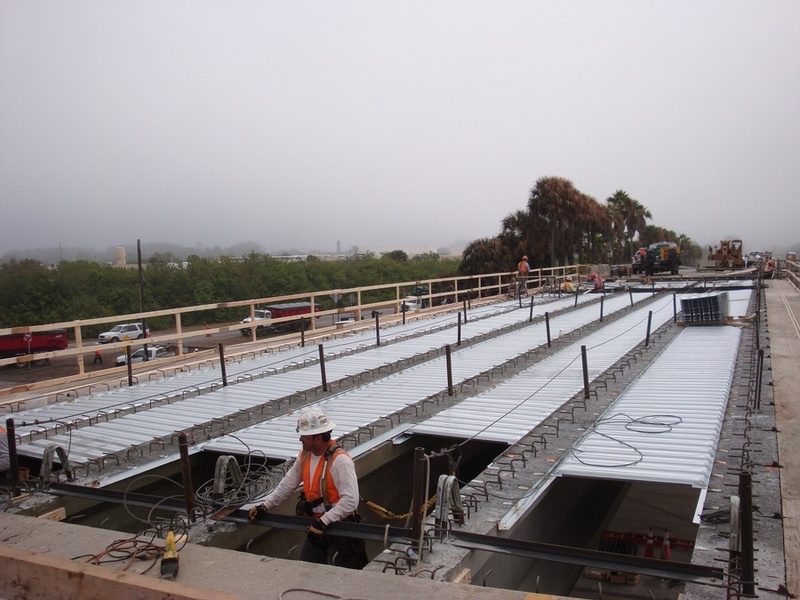 The area of the spans replaced a totaled 9,628 square feet with 6,230 square feet of stay-in-place metal deck. 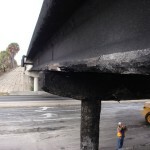 Construction also included 225 linear ft. of guardrail. 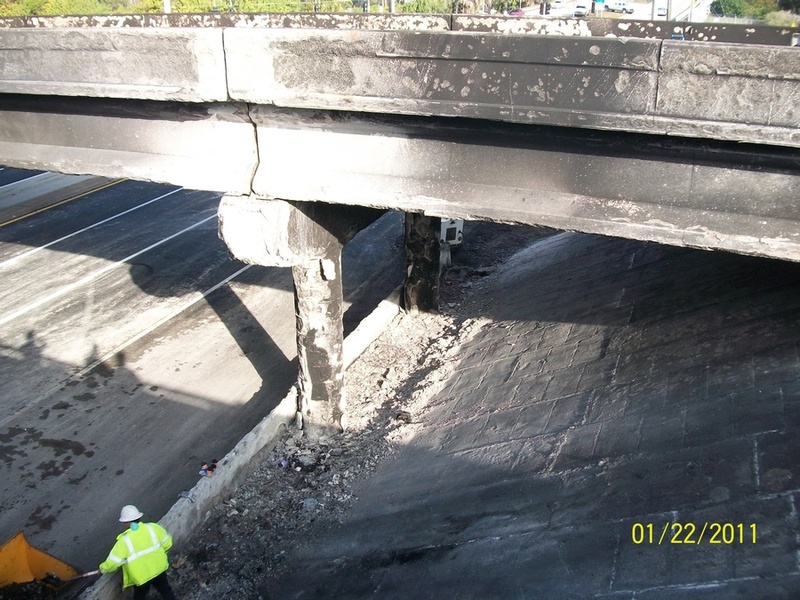 A slow roll was conducted to remove construction barrels and lead the traffic onto the bridge, three days ahead of schedule.